Small Group Training (SGT) is offered at Athletic Outcomes as 6 week programs for those looking to grab a little more attention from their coaches and ultimately improve on a skill. In this round of SGT, Coach Colin led a Pure Strength focused group of 4 where they met 2X a week going over proper lifting techniques as well as how to warm-up to prep you for these lifts! Colin mentioned that he was “thrilled with their results and appreciate all the hard work they put in” and we couldn’t agree more! Those numbers don’t lie and we’re incredible impressed with the dedication and hard work on both ends. Great job team! We hold SGT sessions featuring different forms of training such as athletic conditioning, maximal strength, running-specific, for beginners, etc. and are always open to hearing more about the types of goals you all have and how we can achieve those through SGT! 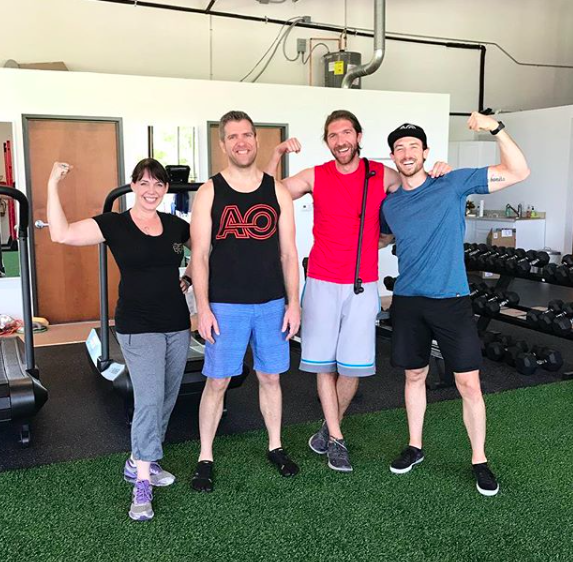 For information on our next round, email info@athleticoutcomes.com and if you’re looking to see what AO is all about, browse our website to get a description of our group classes! Check out the next SGT starting July 11th with Coach Jason, all about Olympic Lifting techniques!.